Description - Phytography: Perennial, erect, strong herb, up to 60 cm in height; stem green, hard, glabrous, branched, armed with prickles; leaves simple, petroled, axils with 5 spines, 3.7-10.0 cm by 2-5 cm, ovate or oblong, obtuse; spikes axillary, usually densely flowered; flowers reduced, 0.1 cm long, unisexual, monoecious, short, bracteate, bracts setaceous; seeds very small, black, shining. Chemical Constituents- Roots contain alpha-spinasterol, a-spinasterol octanosanoate, 3 saponins - saponin of oleanolic acid and 2 saponins of a-spinasterol. Petroleum ether extract of whole plant contains n-alkanes, free alcohols, sterols, and fatty acids. Leaves and stems contain hentriacontane and alpha-spinastesrol. Remarks : Lodhas smoke root bark as hallucinogen. Eating root-paste can cause insanity. Some tribes of Medinipur tie a piece (2 om) of root in black thread on left arm of a pregnant to cure piles. Use - Traditional use : LODHA : (i) Plant-decoction (fresh): to reduce the menstrual flow; (ii) Fresh young leaf (boiled): to children as laxative; SANTAL : Root-paste : on boils; TRIBES OFJHARGRAM (West Bengal) : as an antidote to snake bite, as diuretic, in the treatment of eczema and whitlow. MATSYA PURANA : of great medicinal value; AGNI PIMAHA : poison-killer, drinking of root-extract with the same of Convolvulus trupethum helps one to overcome the effects of poisons of insects and snakes. 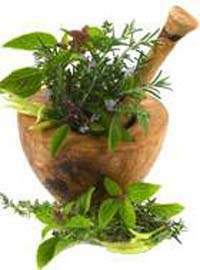 Modem use : Whole plant poultice : applied to buboes and abscesses to hasten suppuration; EtOH (50%) extract of plant : spasmogenic; Decoction of herb : mouth-wash for toothache, poultice mixed with native soap as whitlow remedy; Root: in gonorrhoea, colics; Leaf : as enema, in stomach troubles, piles, leprosy, vomiting; Leaf-infusion: diuretic; Pollen-extract: allergic asthma, allergic rhinitis; it is a very potent drug for the treatment of leucorrhoea and menorrhagia; Decoction of leaves and roots: given to the children as laxative.